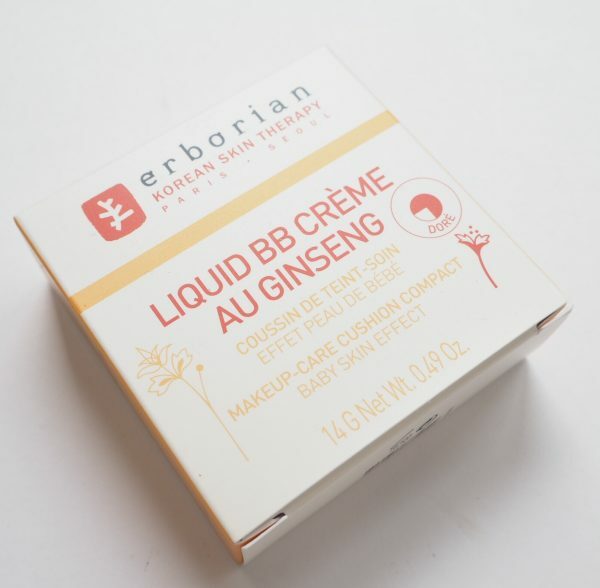 One of Erborian’s best sellers is their BB Creme Au Ginseng, so I’m not too surprised to see it come out in cushion format. If you’re already an Erborian BB fan, then it’s the same thing more or less, but in a more liquid format. Funnily enough, although having a high powder content generally works against a product (sticks in fine lines, feels dry etc), Erborian has this formulation about right so that it doesn’t feel drying. 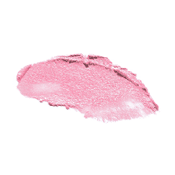 The Erborian Cushion BB contains plenty of skin care actives, too, such as ginseng, licorice and yam. The one thing I’m not keen on with any cushion is the puff applicator – as soon as you’ve used it, it looks awful so I tend to apply by dipping a brush into the cushion and going from there. People do have hygiene concerns about cushions, but as long as you’re fairly on top of keeping brushes clean and washed, I don’t see this as a problem really. 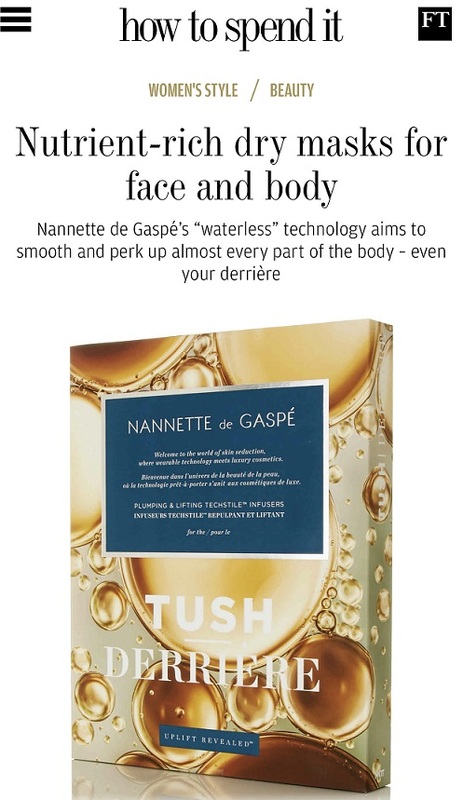 One thing is for sure, you will never be able to wash the puff white again so it will always look a bit ropey. The packaging doesn’t tell me which shade (of two) I have here but I am assuming it’s ‘Golden’ (other option is ‘Clair’) and it’s just a shade too dark for me. 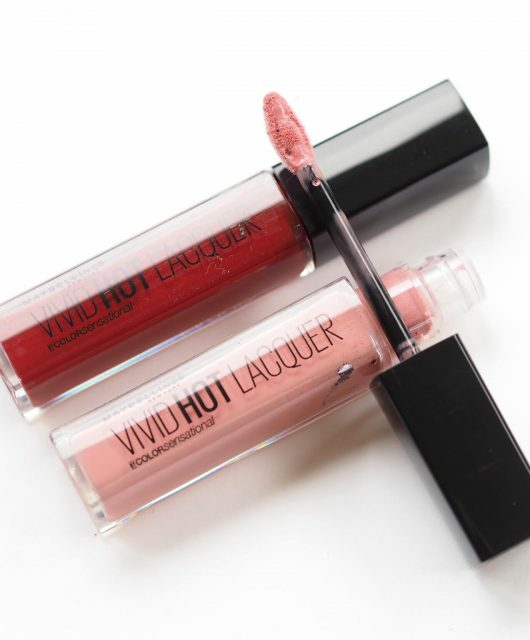 However, a couple of things to note: the formula feels very moisturising on the skin and gives a beautiful sheen and radiance. 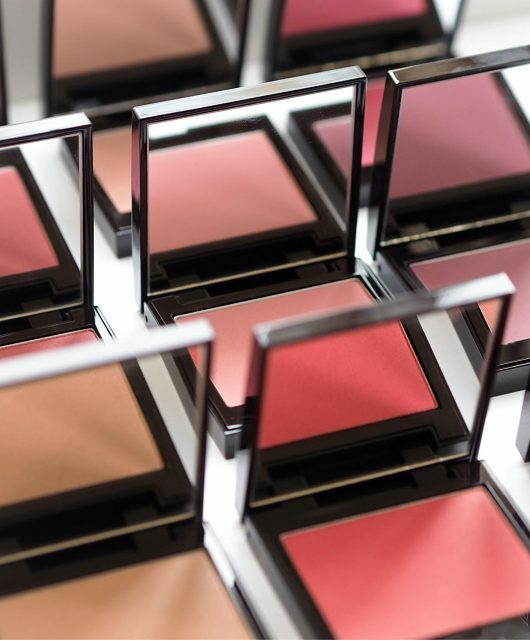 It might be a little too ‘radiant’ for oilier skin types. 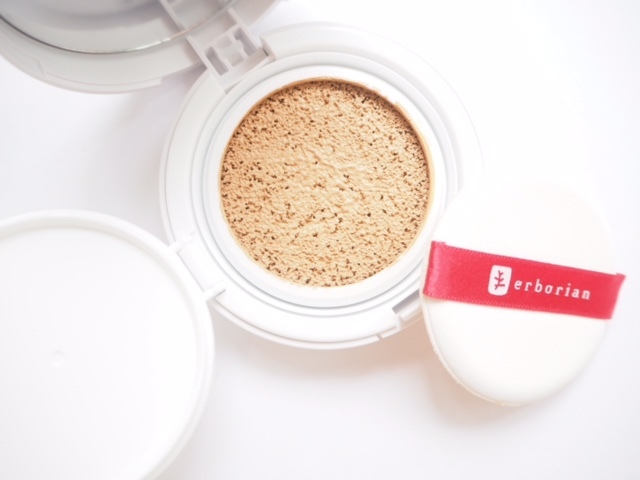 Erborian Cushion BB doesn’t feel weightless and I would say it gives more of a foundation-like coverage than a BB. 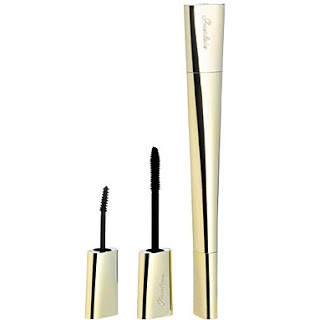 Because of that, I feel you can be a little lighter in the amount of product you use (it blends perfectly with a brush) and still get a very decent base that evens out tone. 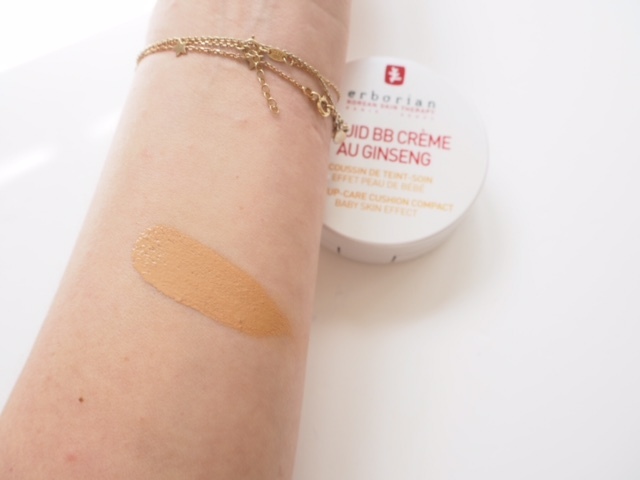 The Erborian Cushion BB is a QVC exclusive (very excited for this brand to be going onto QVC!) and it’s £26.50. It hasn’t launched yet so keep an eye out for it but in the meantime, Erborian have their own sale going on for their BB cremes reduced from £36 to £21.60 which seems like a bargain to me HERE. 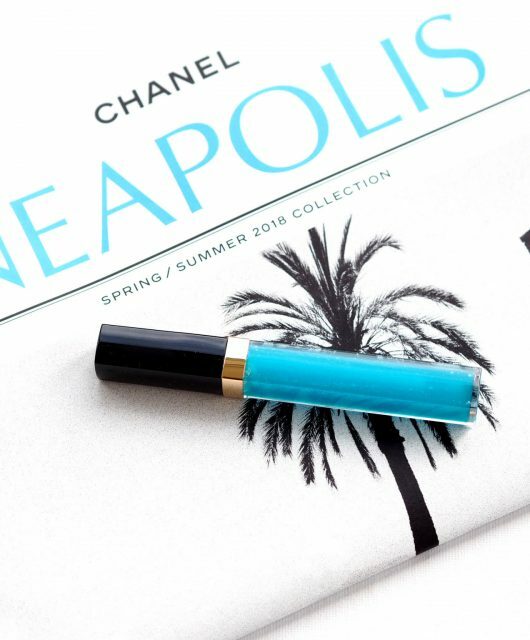 How does it compare to the dior version launching in august? It’s got more pigment and doesn’t really have any oil control features.